Welcome to Summerspell Vacation Homes and Condos! Emerald Coast by Owner is your premiere vacation rental service for this area, and proudly offers you a large variety of properties throughout the area. Convenient locations, ocean views, easy beach access, community or private pool access and much more. As for food, you don't want to miss out on the meals down here. Places like Pompano Joe's, The Back Porch Grill, and Dewey Destin's Seafood and Restaurant, why wouldn't you come here! Joe's offers you a different kind of seafood, Caribbean style! They also provide great service and beachfront views while you dine. As for The Back Porch Grill, they serve grilled seafood with excellent service along the coast. Lastly, Dewey's is a delicious seafood place, also offering other items, and also sits right along the coast. You don't want to miss a meal at any of these places! While you stay here, you can lounge on the beach, get a massage, receive spa treatment, relax on your balcony or just hangout by the pool. If you're looking to get up and active you're in the right place. Jet ski rentals, deep sea fishing, golfing, fishing off shore, boat tourism, water parks and many other opportunities! 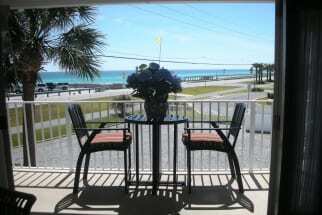 Relax in the perfect vacation rental with Emerald Coast by Owner. We are proud to offer the widest selection of vacation properties in Summerspell. Browse our selection of rental properties in this area below. Be sure to contact the property owners directly by refering to their contact information found on each listing, they will gladly assist you in the booking process. Booking direct with the owner is the best way to assure you are not over paying for your rental. When you book with Emerald Coast by Owner, we make it easy for you to choose where, when, and what you want to do on your trip. Book online today!